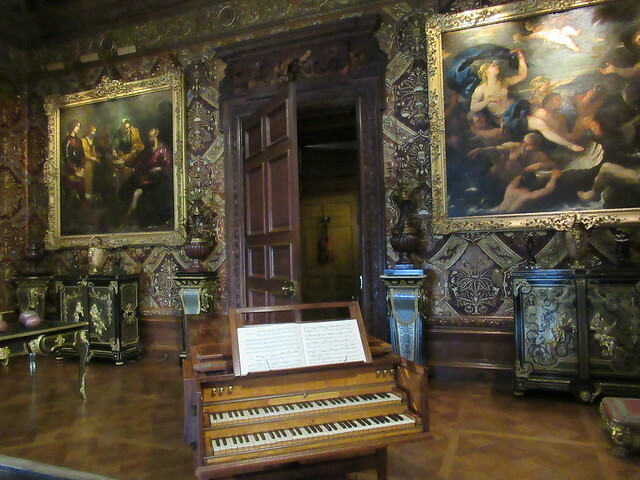 I have visited Chatsworth three times now and each time I learn something new from this incredible house. It’s been a while since my last visit but my favourite artworks were still there. 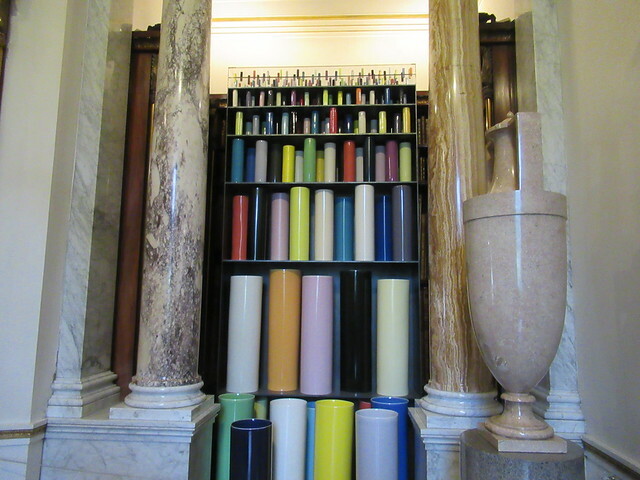 What blew me away this time was the mix of contemporary artworks interspersed with the classical pieces. The current Duke of Devonshire is a true patron of the arts, giving contemporary artists free reign in the making of their artworks. 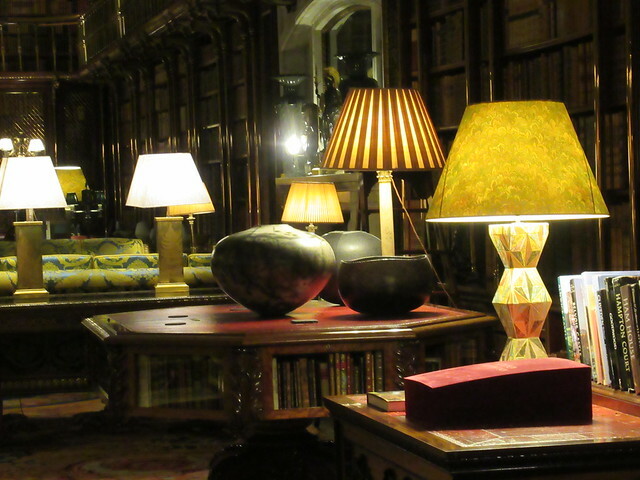 The Duke is an avid collector of contemporary ceramics which I especially enjoyed seeing. 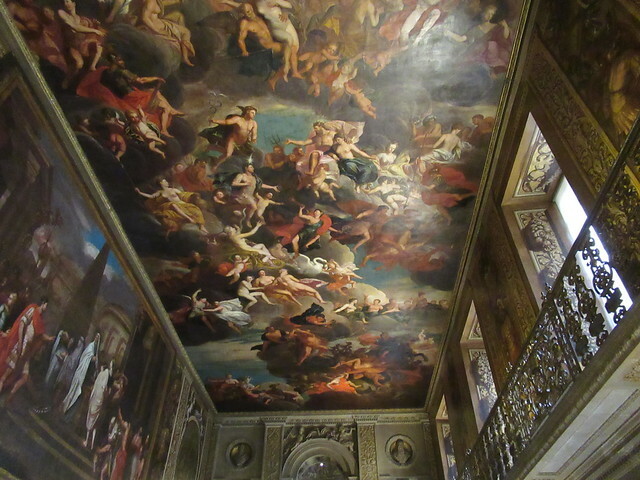 Firstly let’s look at the Great Hall, just look at the ceiling. The first time I saw it my jaw dropped. 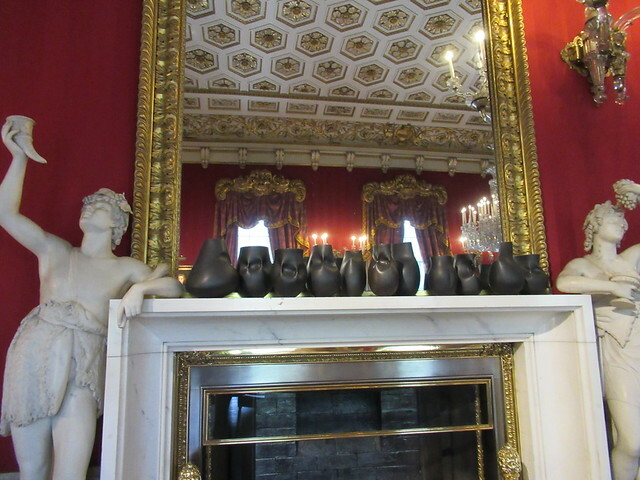 What I loved about the Great Hall this time was the collection of ceramic pots in each of the fireplaces. 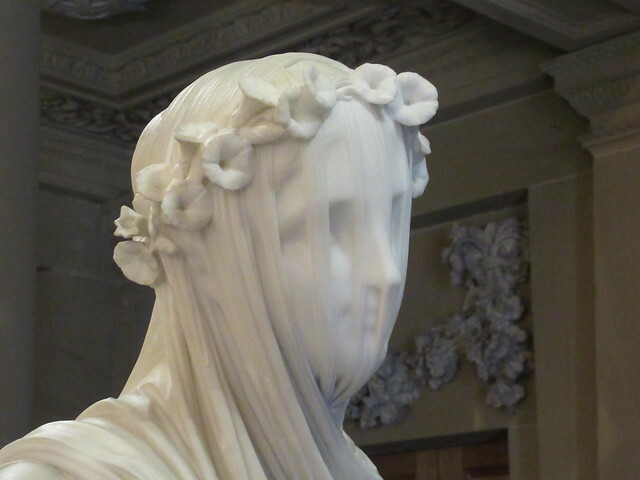 Next the captivating Veiled Vestal Virgin, by the Italian Sculptor Raffaele Monti, it looks so delicate and yet it’s carved from marble. 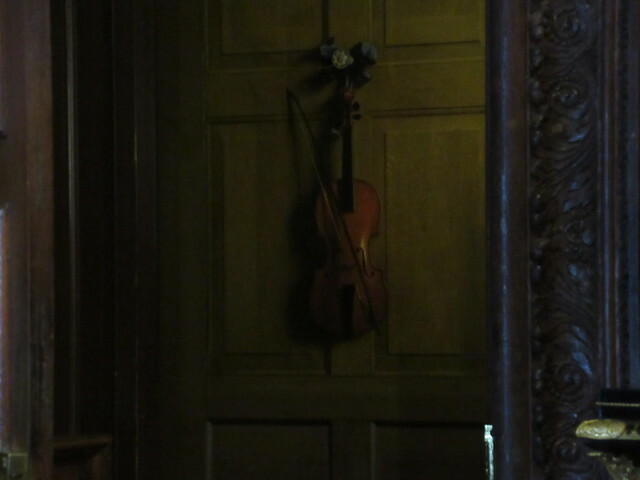 Jan Van Der Vaardt’s Trompe l’oeil violin is one of my must see artworks at Chatsworth. 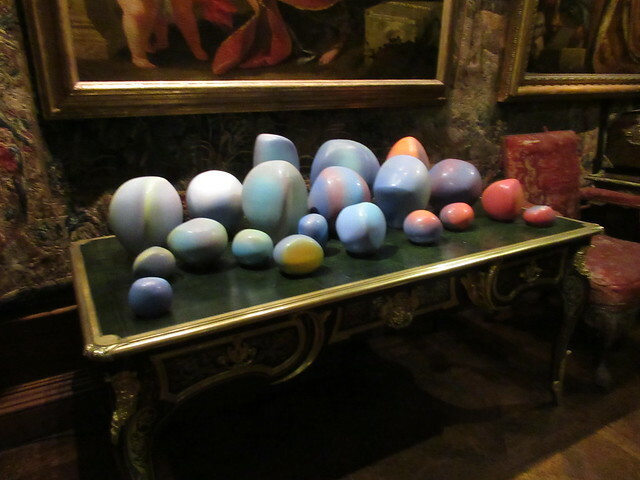 In every room there seems to be a new contemporary surprise, I would have loved to touch these. 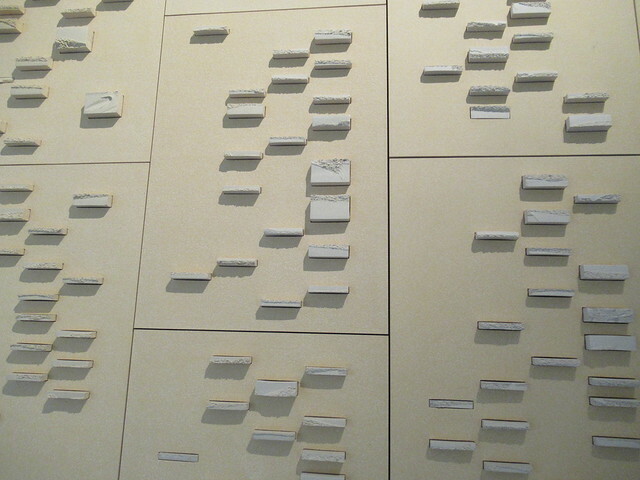 Aptly positioned between the family portraits and the ceramics room one of my most memorable pieces on this visit, the 2014 DNA Wall by Jacob Van Der Beugel, I wish I had taken more photos but the video explains it so well. 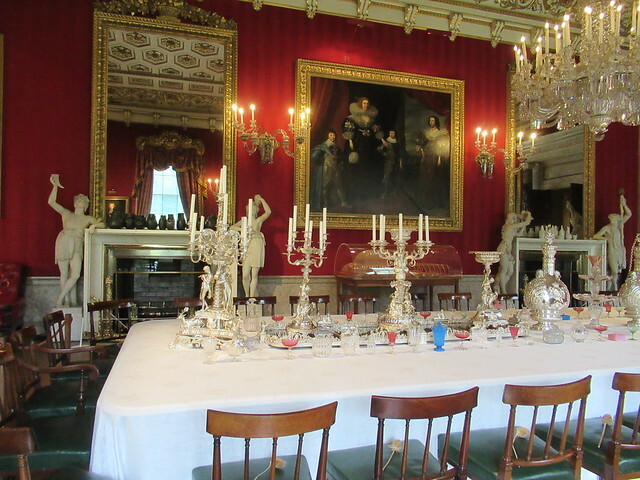 This is the dining room where Queen Victoria had her first public banquet at the age of 13. 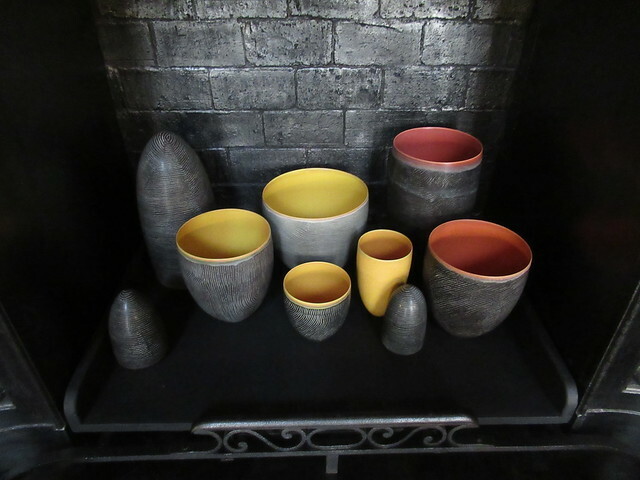 On the mantelpieces there happened to be 2 beautiful collections of ceramic pots. 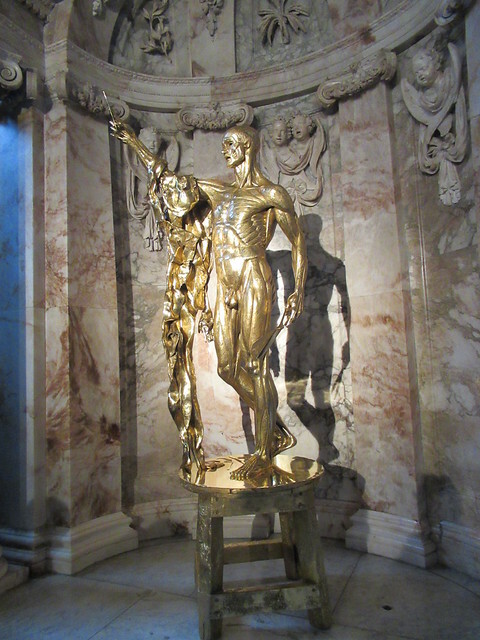 There is such a lot to see at Chatsworth and I look forward to my next visit, maybe one day you might visit the house yourself if you haven’t already. This entry was posted in kiln fired art and tagged ceramics, chatsworth house, contemporary ceramics. Bookmark the permalink. Very intriguing, the vested virgin. I’d be looking from all angles at the sculpture work on the veil alone. 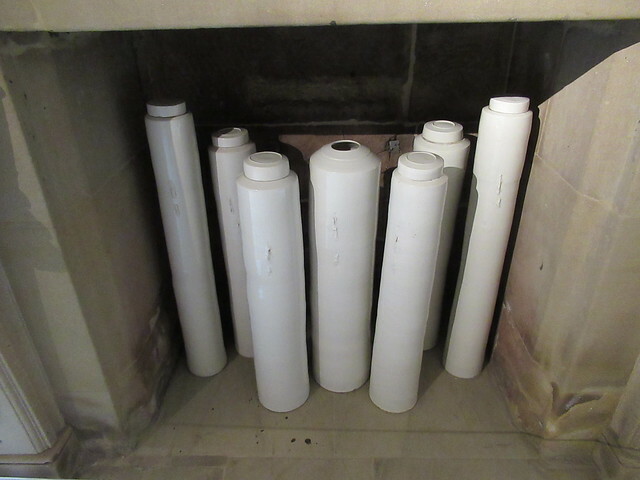 You could always ‘misplace’ a few of your raku leaves …..